Beautiful Oregon Native Checker mallow that has handsome deep green glossy scalloped leaves and for all of summer a continuous supply of long stems clad in rows of cup shaped pink flowers. Adapted to heavy soils that dry out completely. But improves greatly under cultivation. Flowering stems stretch horizontally and wind their way through neighboring plants. Cute cut flower. Excellent in borders or no water landscapes alike. 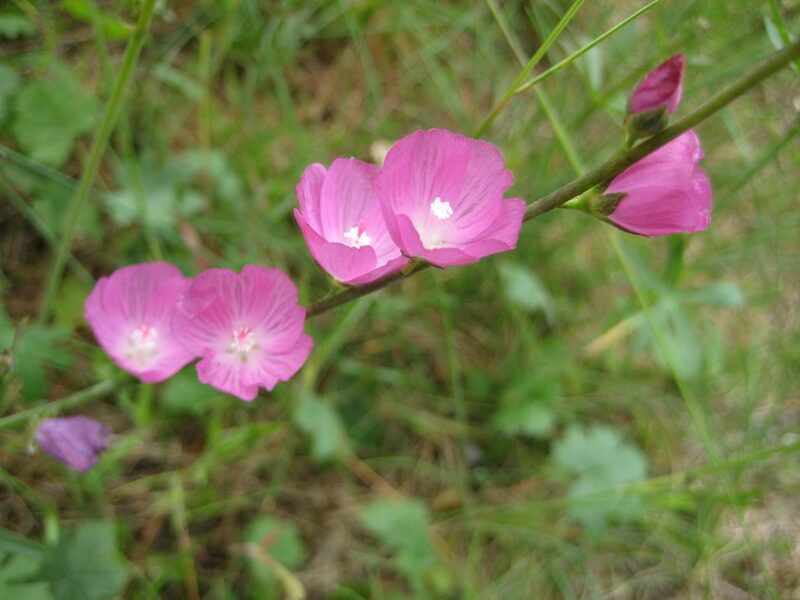 To 18″ tall in bloom and spreading to about 1′ wide. Long lived and easy to grow. Native to south western Oregon. Our selection of a deep pink and prolific bloomer. Oregon Native Plant.